Is the backing slitted for easy peeling, or is it just edge to edge where you have to fight to get your fingernail in to peel it? Hello, These have back slits for easy peeling. Thanks! Will these affix to Coroplast Board? Yes, the adhesive is strong enough to work with Coroplast Boards. Can I use laser printer to print on the labels? Yes laser printer is the best way. And you can use Avery Template 5165 in Microsoft Word for easy printing! Am I able to write on these with a ballpoint ink pen? Yes, ballpoint pens will work with this product. Everyone knows the saying go big or go home. With our 8 1/2 x 11 Full Page Labels, our largest labels, you'll definitely be picking the former and you'll be seen as a champ! 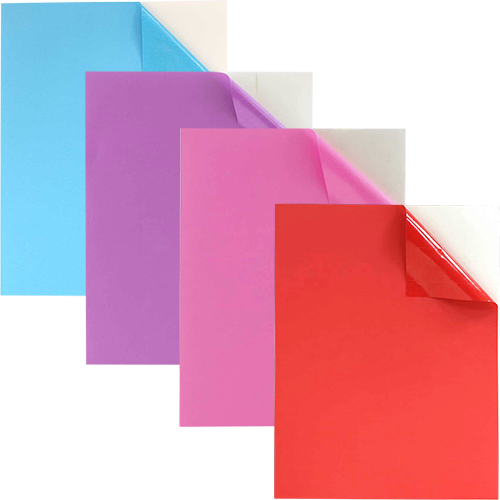 These large labels are perfect for organizing folders, binders, boxes, and portfolios. Anything that requires a lot of information requires a label that can fit it all. With a clean white design, you can jazz up these labels however you like. Draw on them, color them, even print on them. You will never have to worry about running out of room as you write on here either! With Microsoft Word compatibility, there's no limit to how to can design these versatile labels. Packs include 10 labels (1 label per page). Colors include: White, Brown Kraft, Re-Entry Red, Neon Red, Lunar Blue, Baby Blue, Planetary Purple, Gamma Green, Terra Green, Neon Green, Solar Yellow, Neon Yellow, Orbit Orange, Neon Orange, Neon Pink, and Baby Pink. Use Avery Template 5165 in Microsoft Word for easy printing!